Protoball is seeking input from current and potential site users on initiatives that might make protoball.org more responsive to their research interests. Five of us are working to identify and prioritize ways to better meet user needs (within Protoball’s rather unimpressive budget). We’d appreciate your candid ideas about ways to make Protoball a better tool for baseball historian and writers. Please send your ideas and views of the site’s limitations to comments@protoball.org or to Lmccray<at>mit.edu. 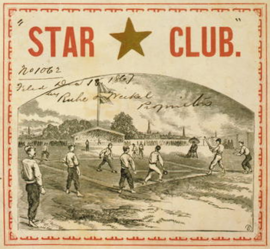 Our Pre-pro Baseball feature is a working database of several thousand clubs and games, mostly in the Origins Era (before 1872). Its interactive maps may help you visualize the spread of baseball over time. It is designed so that individual club pages can link to a club's games, players, and field locations. For an example, see the Knickerbocker Club here. The Games Tabulation (version 2.0) is a record of over 1300 ballgames in various parts of the US from 1845 to 1860. It was compiled by the late Craig Waff᾿s careful and path-breaking research. More recently, Bob Tholkes has tabulated key data from over 5000 early games, mostly from the 1860s. The Glossary of Games provides a short description of 288 baseball-like games. 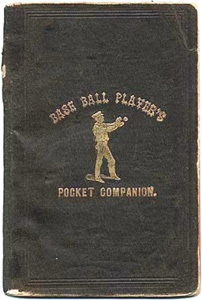 The Glossary includes baseball's likely predecessor games and later games that derive from baseball. On a whim, we have collected information on as many baserunning games as we can find on our Glossary of Games. About half of them preceded the rise of the modern "New York" game ob bae ball in the 1850s. This page was last modified on 16 September 2018, at 07:10. This page has been accessed 353,820 times.